Destiny will receive a new holiday event this December entitled "The Dawning," heralding the return of Sparrow Racing and the arrival of several welcome new features. 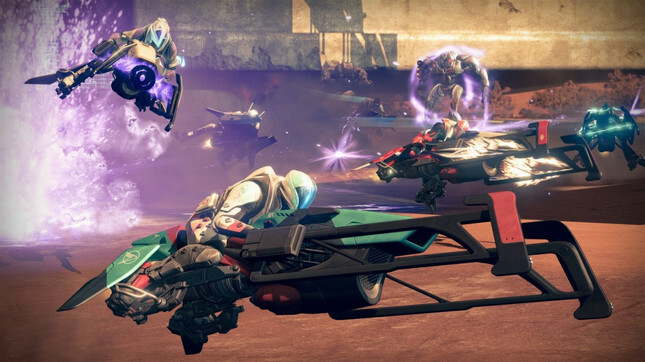 Sparrow Racing League, a multiplayer mode that previously only appeared in one limited-time event, will be made permanent after the end of the Dawning event, though players will need to employ private matches to access it. While publicly active for the event, Sparrow Racing League will feature two new tracks (for Rise of Iron owners only), and drop exclusive gear, Ornaments, and Sparrows. Strikes are being overhauled, with The Nexus, The Will of Crota, and The Shadow Thief all seeing updates, featuring new dialogue from Cayde, Zavala, and Ikora. All Strikes will also feature a points-based scoring system, along with strike-oriented bounties with quota to fill. New weapons in the update include an update of the Year One ammo-regenerating exotic sniper rifle Ice Breaker, as well as new Void and Solar variants of the popular exotic machine gun Thunderlord. In keeping with its holiday theme, the Tower will be festively redecorated, with presents available to open. Best of all for long-time players, green engrams will now automatically decode into armour or weapon materials, alleviating some of the inventory busywork that has come to define Destiny. The Dawning goes live on December 13th, running until January 3rd, and will have exclusive rewards (emotes, emblems, and so on) that can only be earned in that period.